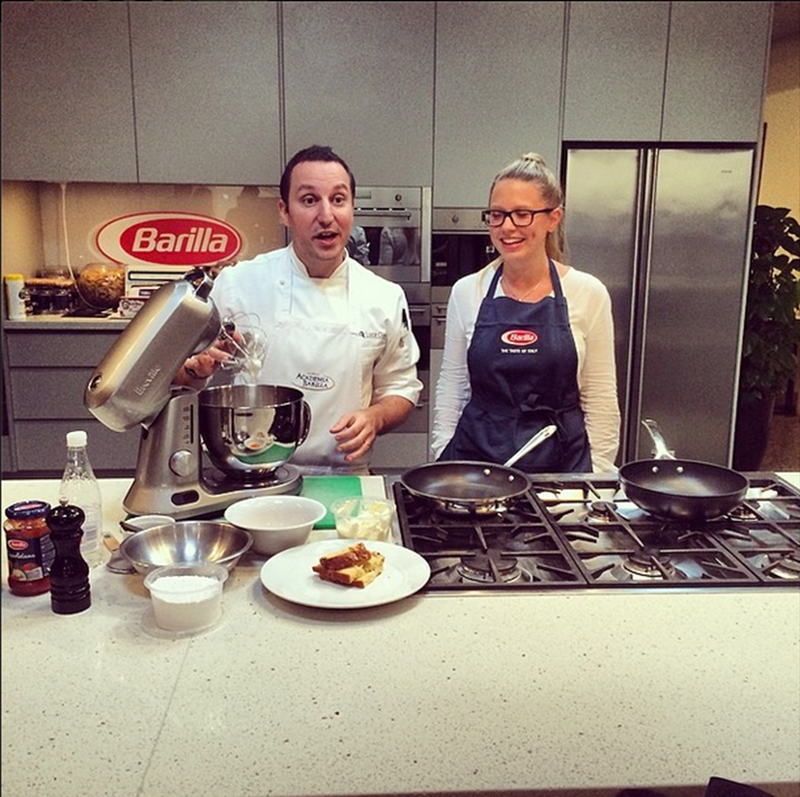 Tiramisu is a classic Italian desert and Luca Ciano of Barilla was about to demonstrate a great way to make it! 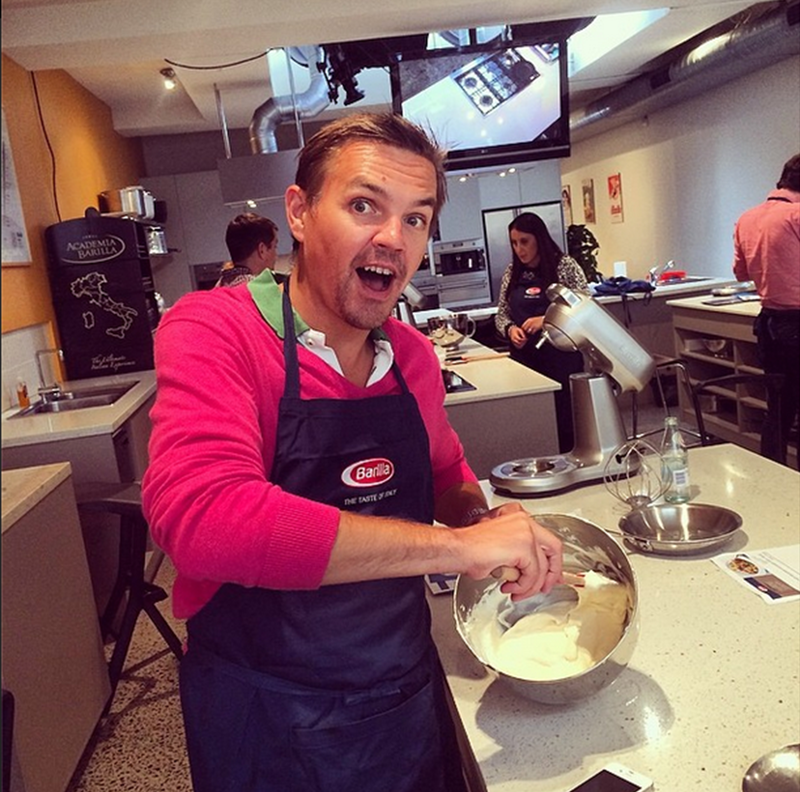 So, as you may or may not recall, my team and I were invited by Barilla to go to a cooking class. We all had a great time cooking a supreme goat ragu’ main course, but desert was on the minds of most of our team by now. Luca explained that in Italy, everybody ends up with far too much panettone at the end of Christmas, so he uses a recipe passed down from his mother to make the most of the fine boxed cake (to quote an offline traders comment). This was going to be epic! First of all, we separated the yokes and whites of two eggs. We had to prepare the whites and we had to ensue they were not over or under whipped! Next, we added the yolks, the whites and a large helping of fine brandy. Next, we added a big dollop of mascarpone and whisked the whole lot together like a banshee. This would prove to be a top notch desert. After a few minutes of whisking we folded the beaten egg together and worked the mixture for a few minutes. 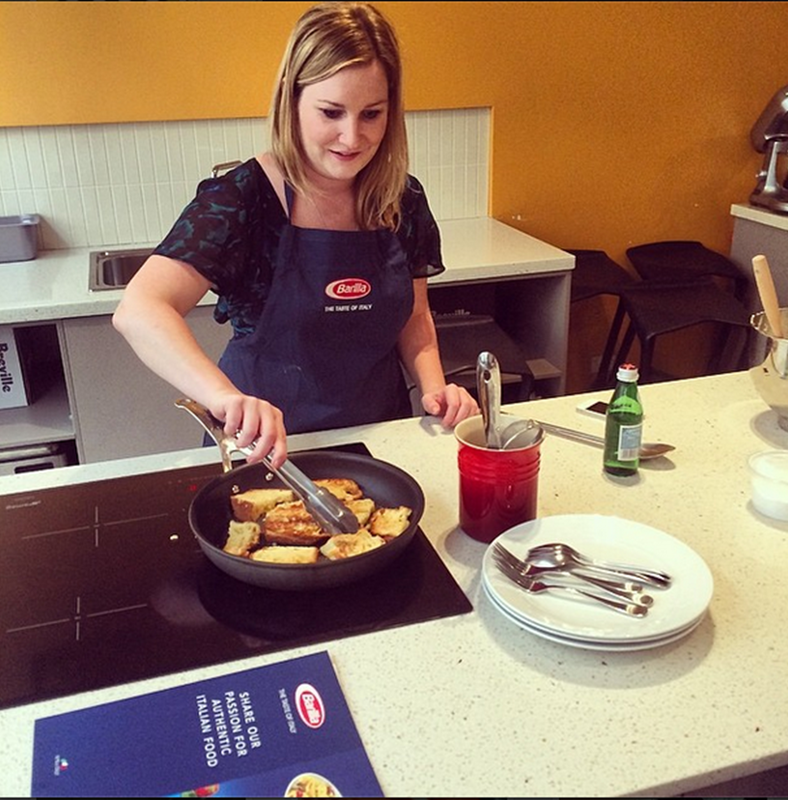 Meanwhile, Mikayla and Yvonne were busy at work toasting the sliced Panatonie and grating the italian chocolate. 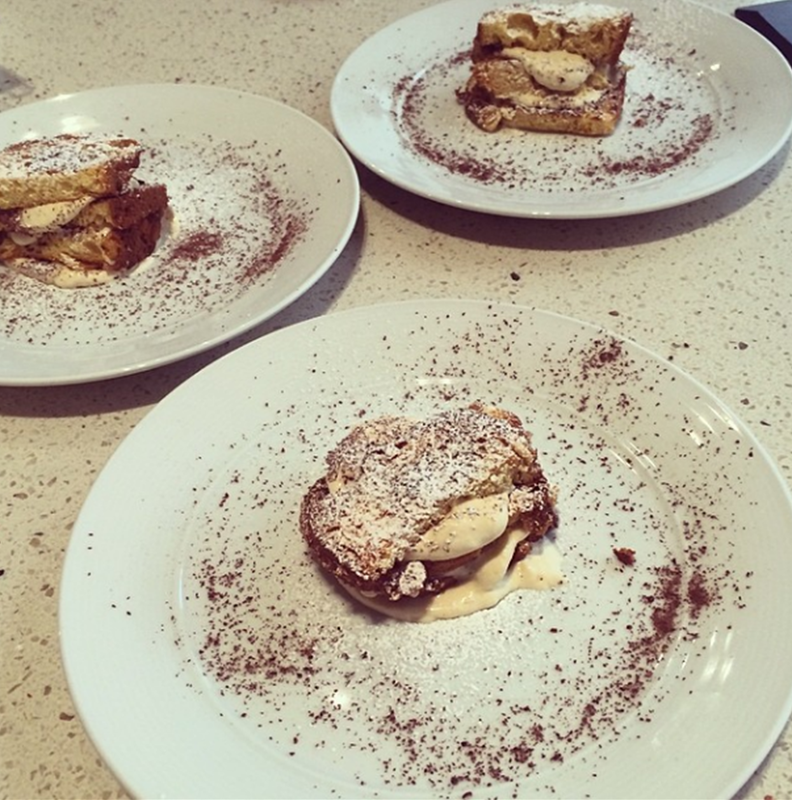 We ended up with this rustic desert which tasted amazing and makes me want to buy an expensive food mixer! 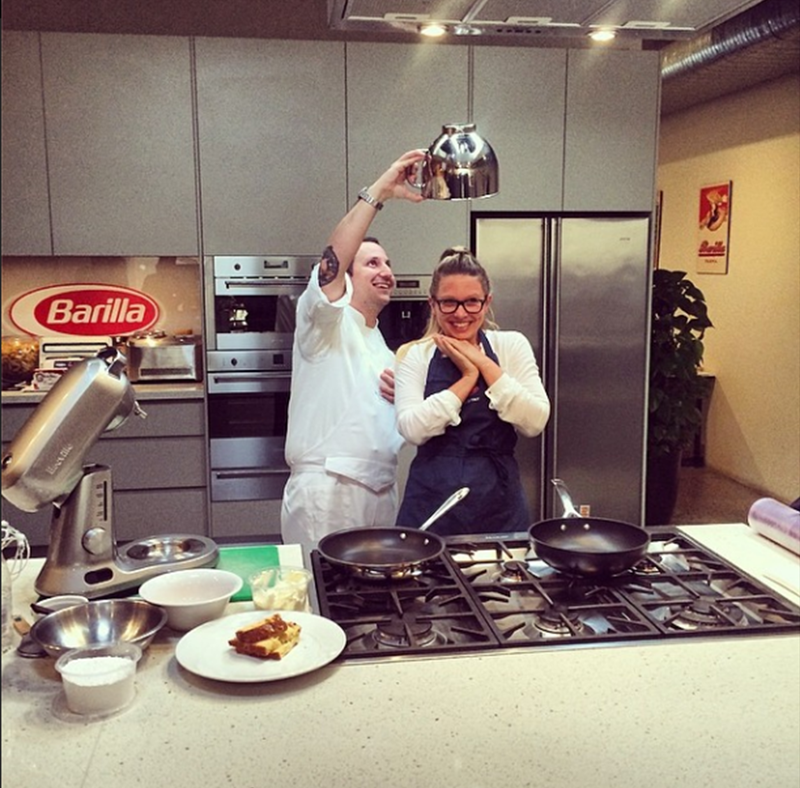 Thanks to everybody at Barilla for hosting us. A great time was had by all! Amazing desert. A team effort!